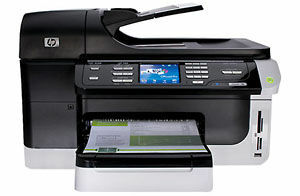 Cut color print costs per page up to 50% over laser printers1 and reduce energy use by 50%2 with our Officejet Pro 8500 Wireless All-in-One. You can copy and scan at up to 8.5 x 14" on the legal-size glass. This model also has a 3.4" color touchscreen.